It’s a field day – on a much bigger scale. 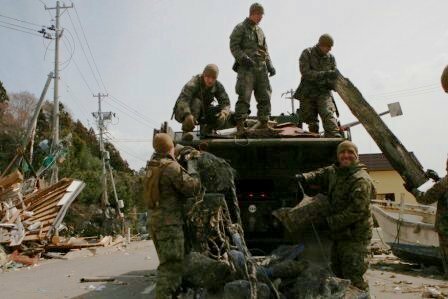 With dozers, dump trucks and supplies in hand, hundreds of Marines with the 31st Marine Expeditionary Unit descended on a small remote island near the epicenter of the March 11 earthquake that devastated northeastern Japan. 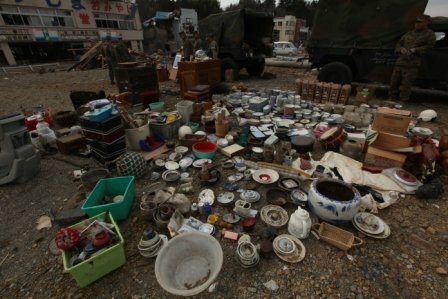 On April 1, they began Operation Field Day, with the mission of helping clear mounds of debris on the island of Oshima, population 3,000. The Marines found some 600 residents holed up in shelters as they try to make sense of what’s left of their homes, community and livelihood. 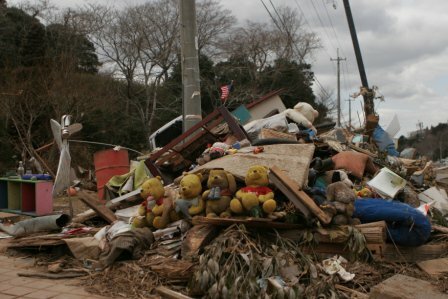 Relief efforts began March 27 as Marines and sailors with Battalion Landing Team 2nd Battalion, 5th Marines, Marine Medium Helicopter Squadron 262 (Reinforced) and Amphibious Squadron 11 delivered food, water and supplies and set up much-needed electrical generators. We should try to create a fundraising team at the military obstacle course: Rebel Race.